The Global Church Learning Center® houses 200 interactive training courses in the Global Church Classroom® and hundreds of more training resources in the Global Church Library®. All courses and resources are tailored to be visually attractive, doctrinally-vital and interactively engaging to help you to reach your maximum potential in your ministry. The Global Church Library is designed to augment the phenomenal courses of the Global Church Classroom and to become the international resource bank of the finest Christian resources in the world. As a member of the Global Church Learning Center, you have complete access to the continuous growing number of world class resources (books, video, audio and articles) in the Global Church Library. Additional resources are posted each month! The Global Church Network recognizes the time demands in ministry and realizes high cost factors of continued training and education in the 21st Century. From anywhere in the world, you have the opportunity to take GCLC courses. If you have already earned a Bachelor's or Master's Degree from a Bible College, Seminary or University, you can choose to opt out of the GCLC Core & Elective Courses and begin immediately on the Advance Studies Program. 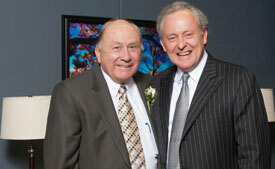 Dr. Elmer Towns, Cofounder of Liberty University and CoChair/Dean of GCLC, and Dr. James O. Davis, Founder/President of Global Church Network, are the proctors for the Advance Studies Program. It is now possible for you to obtain the finest teaching while continuing part-time or full-time in ministry without incurring astronomical debt. You do not have to stop what you are doing and relocate to a new city in order to receive the ministry training that will help you to be successful in fulfilling your divine destiny. 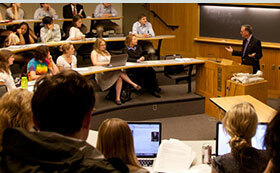 Learn More About Advance Studies. The Global Church Learning Center houses many of the finest training courses for Christian leaders. I highly recommend you become a member today! The more we can learn from each other, the more we can lead together in the future. I don’t know of any place where one can be taught by key global Church leaders all the time besides the Global Church Learning Center. Simply the best! There is no place on the Internet where a pastor or leader can find the highest quality of training like there is in the Global Church Learning Center. When you join, you will learn from the finest Christian leaders worldwide. The best resources help to reproduce the best leaders. The Global Church Learning Center will help to equip you to fulfill your divine calling, just like it has for thousands of Christian leaders in every nation. Wesleyan leaders worldwide are thrilled to partner with the Billion Soul Network and to receive incredible training through the Global Church Learning Center. Be sure to check it out! The Global Church Learning Center comprises amazing training from throughout the Body of Christ. It was a joy to prepare and present a course on “Synergizing With The Next Generation.” I know you will be enriched through all the courses. I have been involved in the Billion Soul Network from its beginning in 2001. I can say unequivocally the Global Church Learning Center contains many of the finest courses throughout the entire Global Church. You would be a wise leader to join GCLC and start learning concepts and applications that you have never learned before! Dr. James O. Davis, Cofounder of the Billion Soul Network, and I have served together in India and throughout the world since 1996. I count is a real joy and privilege to serve in ever-growing and developing network throughout the Body of Christ. Thousands of leaders in India have joined the Global Church Learning Center. Become a member today! 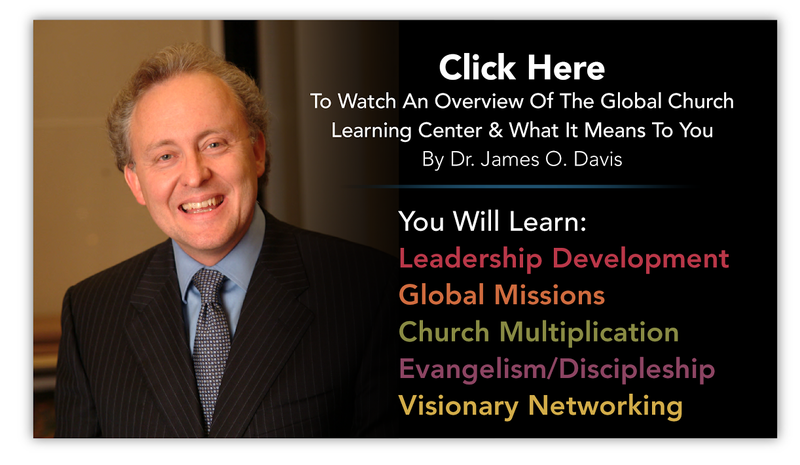 You will not find better courses and training than those in the Global Church Learning Center. When you choose to become a GCLC member, your faith will grow, your thinking will enlarge and your ministry quality will compound. The International Pentecostal Holiness Church and the Billion Soul Network have a powerful synergistic partnership worldwide. IPHC pastors are currently taking GCLC courses in every world region. Your personal life and ministry through the the GCLC will compound exponentially in the years to come. There is no network like the Billion Soul Network. This network works! I encourage you to become a Global Church Learning Center member and get ahead of the ministry curve for powerful effectiveness. Do it today! I have fortunate to be a founding member of the Billion Soul Network. I can say without hesitation that the Global Church Learning Center training is simply the finest in the world today. You will love it!